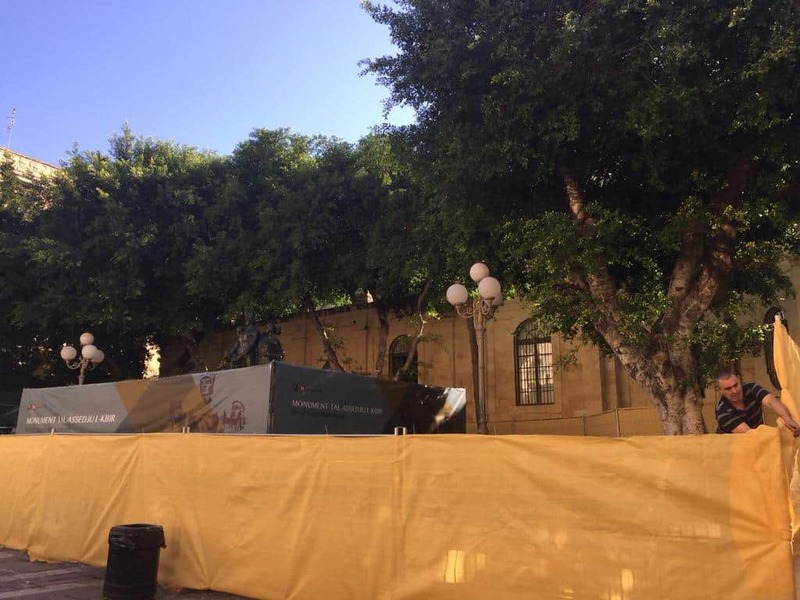 Mr Bonnici, tear down that wall. Or maybe not. The protest for truth and justice in Great Siege Square has not yet achieved what it set out for. But it has had an unintended bonus. We’re going to get a new Great Siege Square. Well, at least new paving, new lights and perhaps a fountain, a mediaeval clock tower, space for ponies for kiddie rides, a huge circus tent, water scutes and an indoor ski ring. It might take another 100 years to be completed but there’s always something to look forward to. 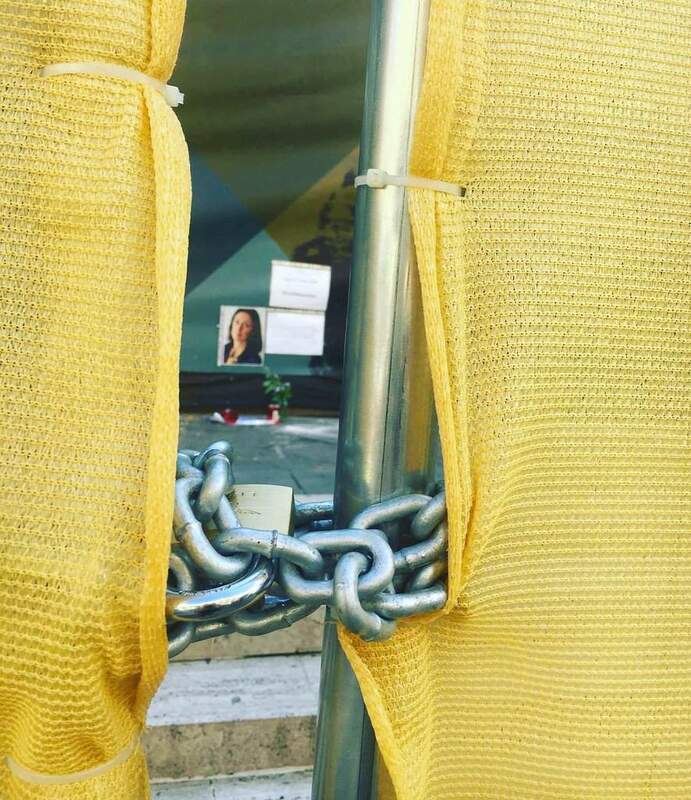 In the meantime, just outside the hoarding covering this huge surprise in the making, there will always be flowers, candles and messages of protest demanding justice for Daphne Caruana Galizia and for those who killed her and those who still benefit from her death. Truly a win-win situation. Except perhaps for Joe Brincat who now needs to sue the government because he still cannot have the unhindered view of the Great Siege Memorial.